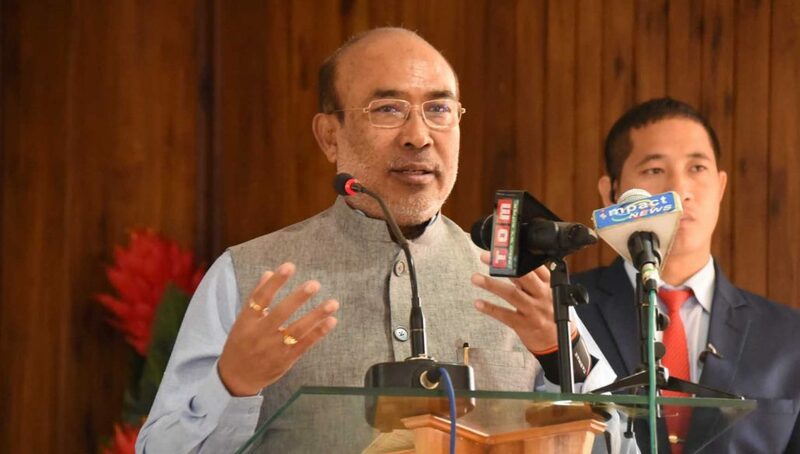 Manipur Chief Minister N Biren Singh has claimed that the BJP will win both the Lok Sabha seats in the state. He also asserted that the NDA government will return to power in the Centre, according to reports. Speaking after offering of prayers at a local shrine at Wangoi in Imphal West district for the success of the two BJP candidates — RK Ranjan (Inner seat) and Benjamin Mate (Outer seat), the Chief Minister said that most of the people are supporting the BJP. He also said that it would be impossible to defeat BJP in the upcoming Lok Sabha polls and most of the poll surveys predict that the saffron party will emerge as the winner. Singh said full-fledged campaigning for the two BJP candidates in the State will be started after scrutiny. The scrutiny of nomination for the Outer Manipur seat is on March 26 while that of Inner seat is on March 27. Meanwhile, the BJP Inner Manipur seat candidate Ranjan said his main objective is to ensure that issues of the State reach the Centre and to address the problems faced by the youths. Manipur will go to polls on April 11 and April 18. Election to the outer Manipur parliamentary constituency (ST), which comprises 28 Assembly constituencies including eight valley constituencies, will be held on April 11. The inner Manipur parliamentary constituency comprising 32 assembly constituencies will go to polls on April 18.